Qigang Chen (b.1951) is one of the most prominent Chinese composers working today, whose music has been commissioned and performed by leading orchestras and musicians around the world. 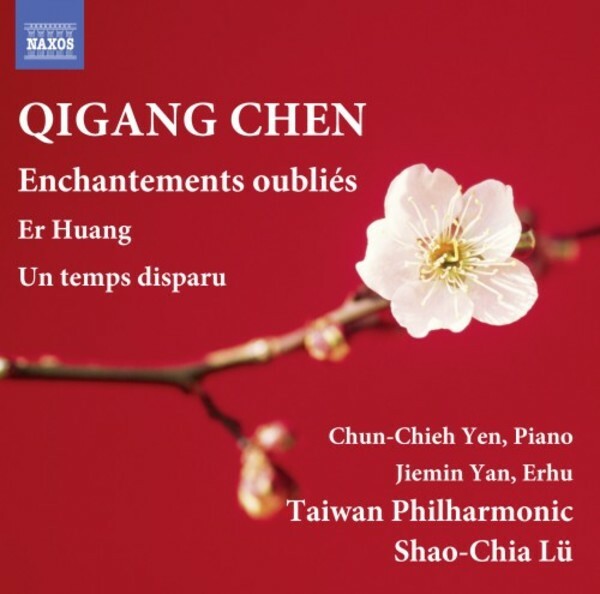 Er Huang (2009), commissioned by Carnegie Hall, is based on a number of melodies from Peking operas, nostalgically recollected, while the unusual structure of Enchantements oubli�s (2004) explores a journey into the essence of beauty. Un temps disparu (2002) features the erhu, a two-stringed Chinese fiddle, and makes use of an ancient Chinese melody called Three Variations on the Plum Blossom.